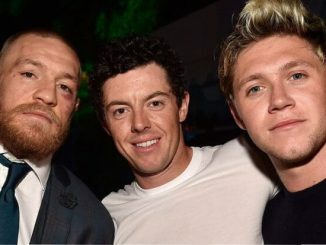 McGregor starting at $10 odds into under $4! 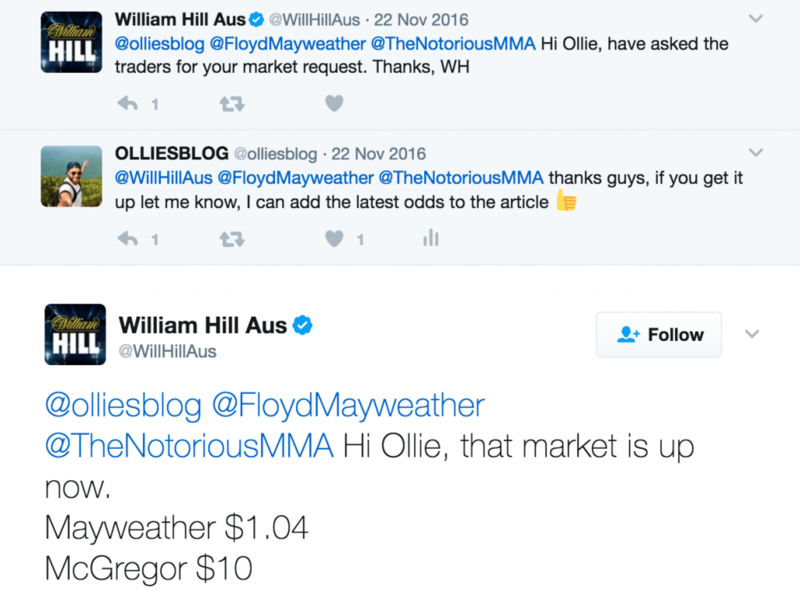 William Hill have been pushing the Mayweather vs. McGregor fight odds since November 2016 and were the first bookmaker in Australia to get the Odds BACK-UP and live on their website for this potential super fight. 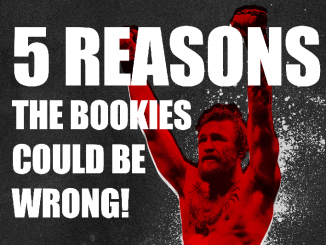 If you were quick enough, you could have got Conor McGregor at a whopping $10 as a market opening price, which vs. Ladbrokes opening price of $5.50 is a good price. Floyd was clear opening favourite at $1.04. 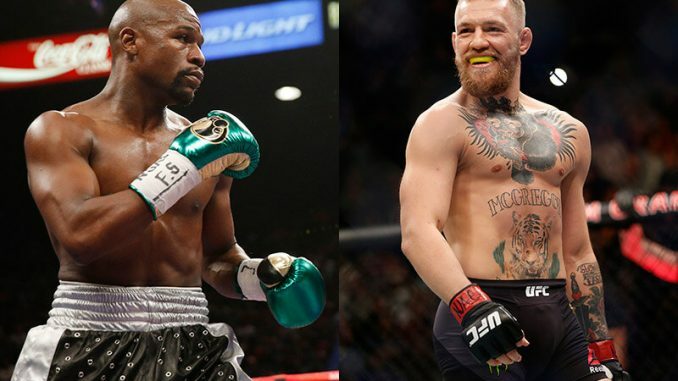 View the LATEST ODDS on Mayweather vs. McGregor HERE! 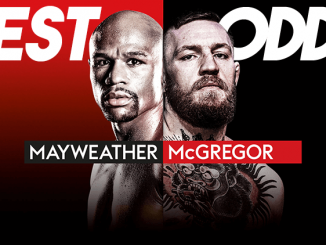 What are your thoughts on the release of the ODDS AGAIN for Mayweather McGregor #MayMac, comment below.